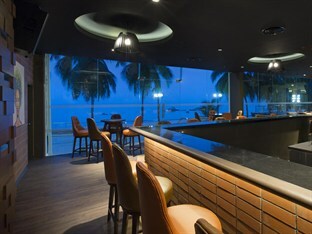 Four Points By Sheraton Penang , Located in Tanjung Bungah, Penang, Malaysia. 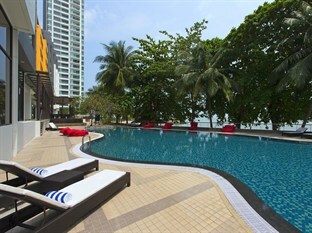 Conveniently located in Penang, Four Points by Sheraton Penang is a great base from which to explore this vibrant city. The excitement of the city center is only 7.6 km away. With its convenient location, the hotel offers easy access to the city's must-see destinations. 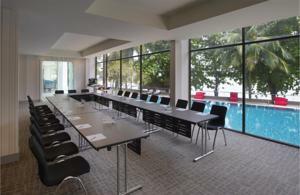 The facilities and services provided by Four Points by Sheraton Penang ensure a pleasant stay for guests. Safety deposit boxes, laundry service/dry cleaning, disabled facilities, bar/pub, room service are just a few of the facilities that set Four Points by Sheraton Penang apart from other hotels in the city. Step into one of 220 inviting rooms and escape the stresses of the day with a wide range of amenities such as hair dryer, internet access – wireless (complimentary), complimentary bottled water, internet access – wireless, mini bar. The hotel's recreational facilities, which include outdoor pool, fitness center, pool (kids) are designed for escape and relaxation. 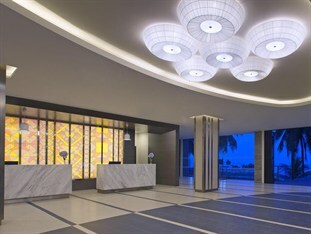 Four Points by Sheraton Penang is an ideal place of stay for travelers seeking charm, comfort and convenience in Penang. 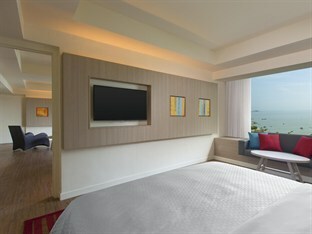 A 15-minute drive to the popular Batu Feringghi, Four Points by Sheraton Penang features elegantly furnished guestrooms. Its facilities include a spacious outdoor swimming pool and a fitness centre. 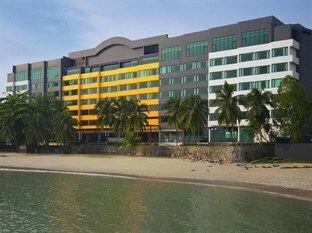 Four Points by Sheraton Penang is located a 10-minute drive from Straits Quay Mall and Convention Centre. The famous Georgetown is a 20-minute drive away and Penang International Airport is 35-minute drive away. 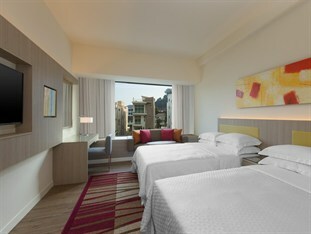 Cosy air-conditioned rooms feature modern interiors and furnishings. Each is equipped with a personal safe and flat-screen satellite TV. Tea/coffee making facilities are provided. The hotel has a tour desk to assist with travel arrangements. Other facilities include a 24-hour front desk and meeting/banquet facilities. Luggage storage space is available. International dishes can be enjoyed at The Eatery. For alternative dining options, room service is available. 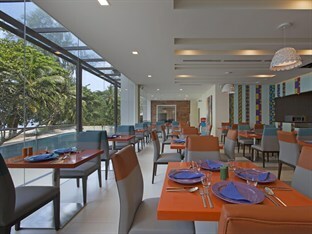 Four Points By Sheraton Penang, Penang is a 200 rooms hotel with both sea and hill view at the coast of Tanjung Bungah area.